Human Capital, organization development and organization design are the life blood of every company. It is a matter of people, their skills and how they are organized. In today’s complex business environment, a company’s success is dependent on the performance of its employees, vendors and stakeholders as well as the organization structure that provides goals and objectives, leadership and management. Managing precious human capital and developing the skills of your organization requires a well thought through Organization Development Process that addresses both strategic and operational gaps. Utilizing our Business Hierarchy of Needs® as a framework, we have developed a series of tools, assessments, workshops, surveys and performance management tools, including software, that are focused on maximizing the effectiveness of a company’s workforce. 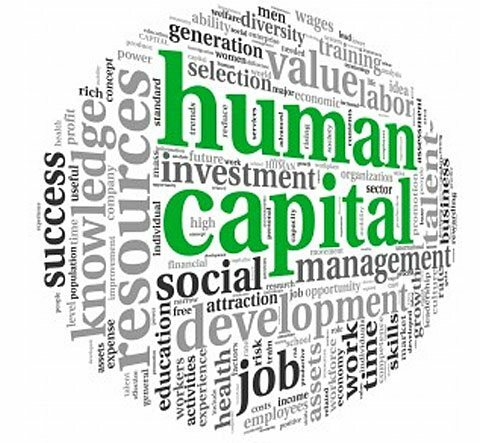 Group50’s Human Capital Consultants can customize these tools to deliver immediate and impactful changes within your business. Our consultants are subject matter experts who have worked with non-profits, Fortune 50 companies, fast paced entrepreneurial start-ups and everything in between. We have learned from the best of the best and can scale this experience to fit your company’s requirements. We work as advisers, consultants and interim executives: from start to finish. Group50 works with each client to develop and implement a sustainable Organizational Development Process. Company Physical The first step in the process is an assessment of your overall performance utilizing Group50’s Company Physical®. It consists of a series of assessments and workshops that provide a full assessment of the current state of your organization. We assess your current organization, systems, capabilities, resources and plans from both a tactical and strategic perspective. We have compiled a set of best in class systems, procedures, metrics, and evaluations that provide insight to your companies’ current performance. Develop Strategic and Tactical Plans Once the initial Organizational Company Physical is completed, Group50 offers the experience of a seasoned global consulting team to assist your company in defining the strategy and tactics that will deliver optimal results for your organization utilizing workshops that are designed to help senior leadership design and implement projects that deal with identified strategic and operating gaps. These can range from minor policy changes to a re-of of the entire corporate wide Strategic Plan. Regardless of the level of change required, we ensure these changes cascade throughout the organization and are tied to your performance management system. Strategic Execution One of Group50’s key differences is that we stick with you through the difficult part of implementation. We help you write and manage short-medium-long term plans, institute human capital systems and communication plans, create and enhance standard operating procedures, etc. We provide the technical, operational and leadership training required, ensuring long term success. Continuous Improvement Once the enhancements are operating as expected, Group50 will complete a mini-evaluation to ensure the long term results will be delivered. We ensure the first cycle of Continuous Improvement is a success! Our assessments and tools are designed to align the organization to the company’s strategic objectives, measure performance and elevate the skill sets of all employees and contractors in the organization. This will prepare your organization for the non-stop change that organizations are always faced with. An organization cannot wait for the next opportunity; it must be proactive in preparing the organization for the future. At Group50, we have developed methodologies and tools for implementing a strategic execution process that provide clearly defined strategies, accountability and real time management. We work with our clients to provide organization alignment to their strategies, integration of those strategies across the organization, and optimization of business processes and organizations to assure maximum strategic performance. We don’t leave execution to chance. Our approach follows the Business Hierarchy of Needs®, a model of what it takes to implement a culture of strategic execution. Try our new Organization Development Self-Assessment to find out where you stand relative to best practices. Contact us at (909) 949-9083, send an email at info@group50.com, or request additional information about Group50’s Human Capital consulting services here.